Vybz Kartel defense team will have a much shorter time to make their case in the Court of Appeal. 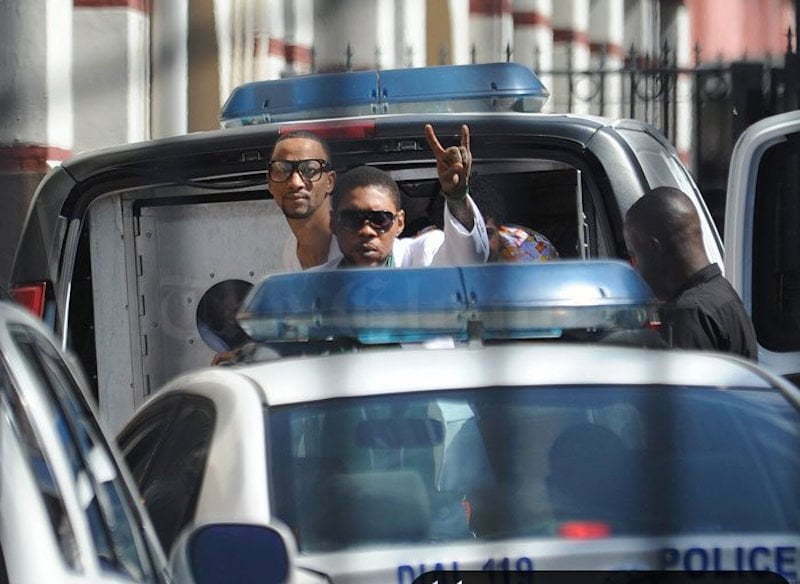 Kingston Jamaica: Vybz Kartel and his three co-accused appeal trial got underway on Monday, and after a dramatic day in court, we are left with more questions than answers. The defense team scored their first victory in court in on Monday when the judges, Justice Dennis Morrison, Justice Patrick Brooks, and Frank Williams, ruled to accept fresh evidence in the case. The trial was adjourned for this week and we also learned that the judges slash the time allotted to hear the case. This means that both the defense and prosecution will have less time to make their arguments in court. The defense lawyers will have one day to make their arguments and the prosecution will have one day to make their arguments. “Each appellant has up to one day to make the points you wish to make,” President of the Court of Appeal Justice, Dennis Morrison, said. Vybz Kartel, born Adidja Palmer, Shawn “Storm” Campbell, Andre St John, and Kahira Jones are all hoping that the Appeal Court will exonerate them of their murder conviction. The four men are currently serving life in prison for the murder of Clive “Lizard” Williams. Kartel’s defense attorney, Valerie Neita-Robertson, filed legal docs in the Appeal Court on Monday to enter new evidence including an affidavit given by attorney-at-law Kimberli Whittaker. The affidavit contains crucial statements made by two jurors in the 2014 murder trial. The statements are part of a case against another juror who was arrested for allegedly attempting to bribe other jurors including the forewoman. There is also an affidavit written by Shawn Storm about not having legal representation in the judge’s chamber when he was discussing the alleged bribery attempt by the corrupt juror. The case was adjourned on Monday for the rest of the week and will resume on Monday, July 16. The judge told the lawyers to use the rest of the week to review their presentation. The appeal case was slated to run for three to four weeks, but now it will be one to two weeks. The Court of Appeal has granted leave for new evidence to be introduced in the case involving entertainers Adijah “Vybz Kartel” Palmer, Shawn “Shawn Storm” Campbell and their two co-accused, Kahira Jones and Andre St John.